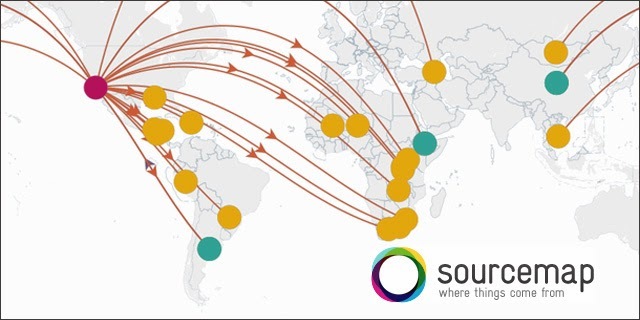 Researchers from the Massachusetts Institute of Technology (MIT) have developed a tool called Sourcemap that helps companies and business owners connect with people across the supply chain and provides transparency to their supply chain. The tool also allows users to visually see their supply chain's vulnerability in the event of a catastrophe. Mr. Arntzen, a senior research director at MIT's supply chain management program said, "When a disaster happens, we want companies to instantly see a map of the potential impacts and how they might be mitigated". Free features of the tool include the ability to upload your supply chain into the map from popular ERP and DRP databases and create an easy-to-view and distribute product for transparency reasons. Paid features of the tool includes the aforementioned map of supplier locations, RFI tools, and a risk analysis system that predicts the damage caused by the natural disasters or unforeseen events such as political unrest. Revenue lost is calculated by the number of days it takes the company to find another supplier and how long their current inventory would last. Additionally, there are real-time feeds from news outlets and an alert system that notifies businesses on the impact of potential and impending supply chain disasters. In a business world where suppliers and customers are worldwide, having transparency in the supply chain and the ability to react quickly to minimize the loss is everything.